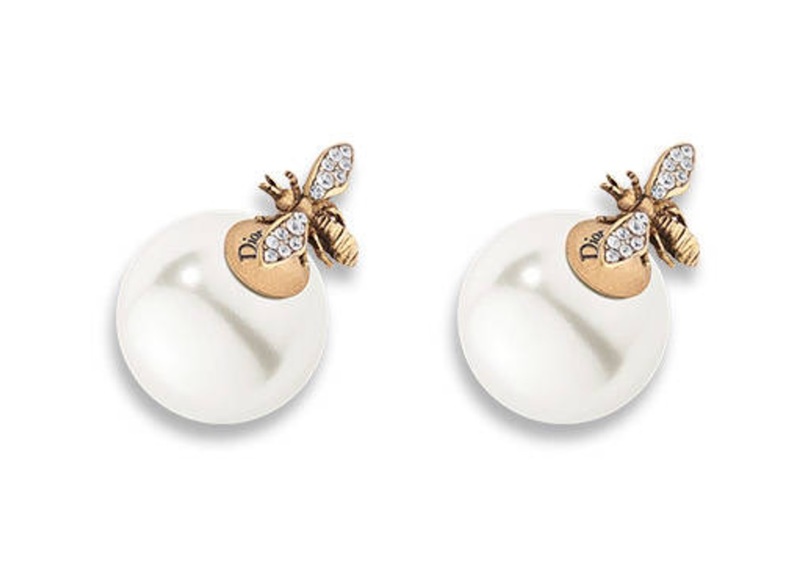 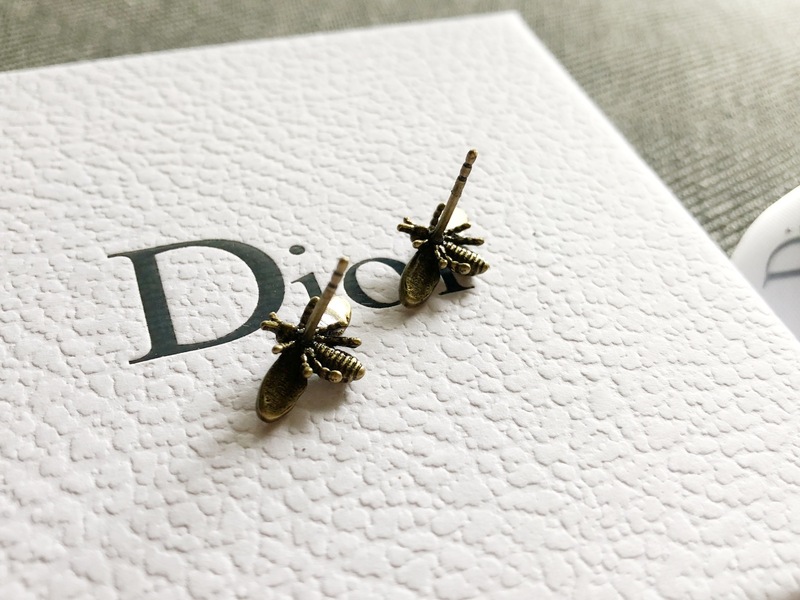 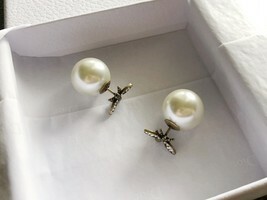 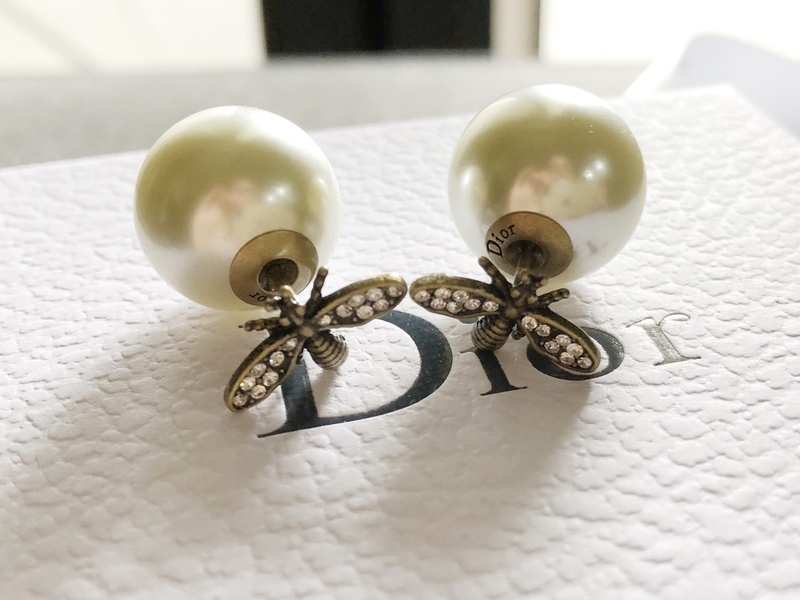 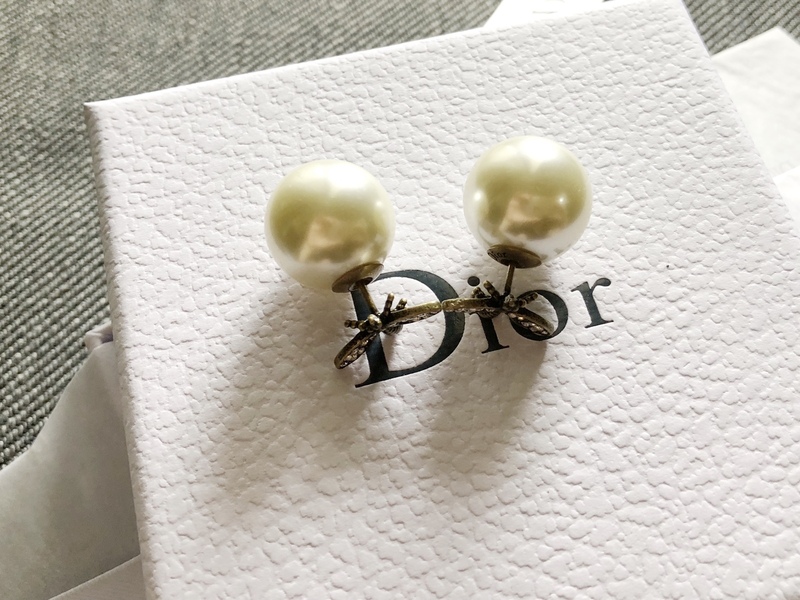 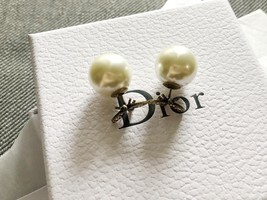 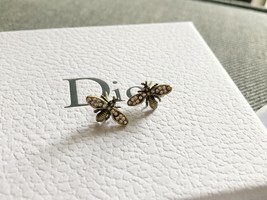 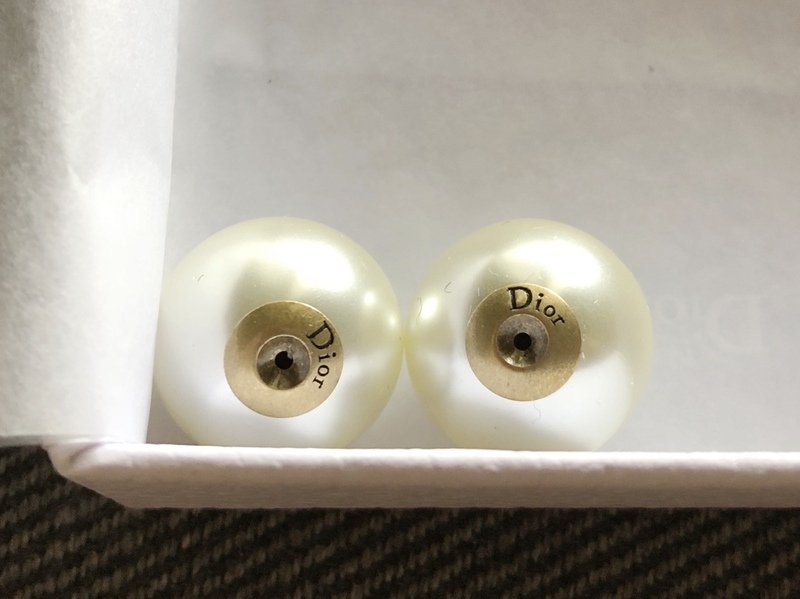 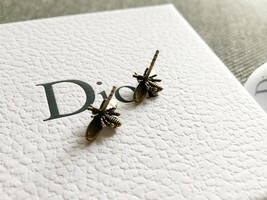 "Dior Tribales" bee earrings in aged gold-tone finish metal, white crystals and white resin beads. Pristine conditino with only signs of storage. 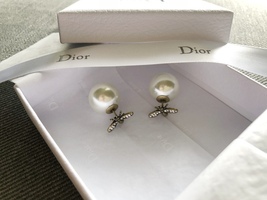 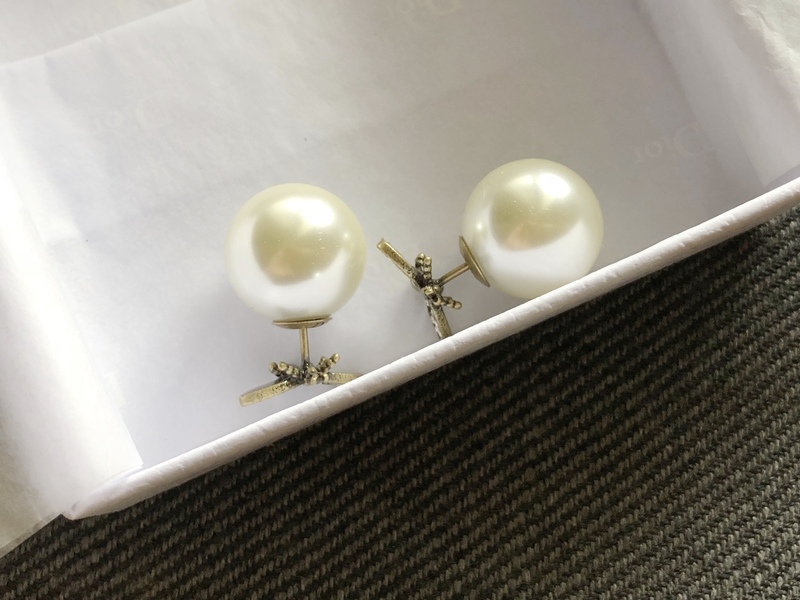 Comes with Dior box and DIor gift bag.